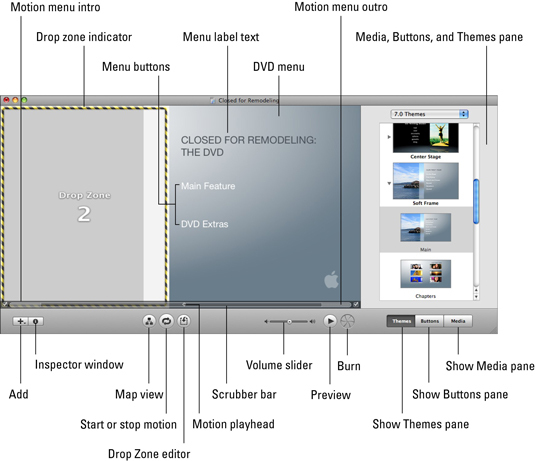 Understanding the workspace of iMovie ’09 allows you to arrange and edit your home videos. Knowing your way around the iDVD workspace lets you create, customize, and share your photos, movies, and music. When you open iMovie ’09 and clear the Welcome dialog box, this workspace, or main window, will appear. 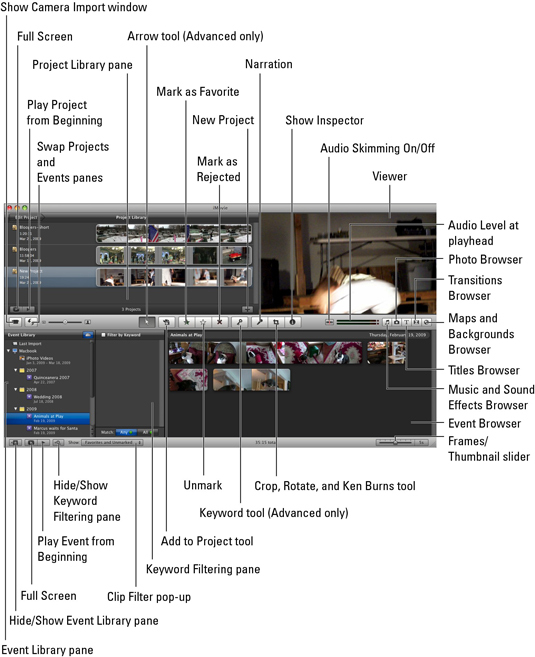 iMovie’09 gives you many options for editing and organizing your video clips. Get to know your way around the iDVD ’09 workspace and you’ll be on your way to making, customizing, and sharing your favorite photos, movies, and music.